Huda Beauty launch of two new Obsession Palettes! 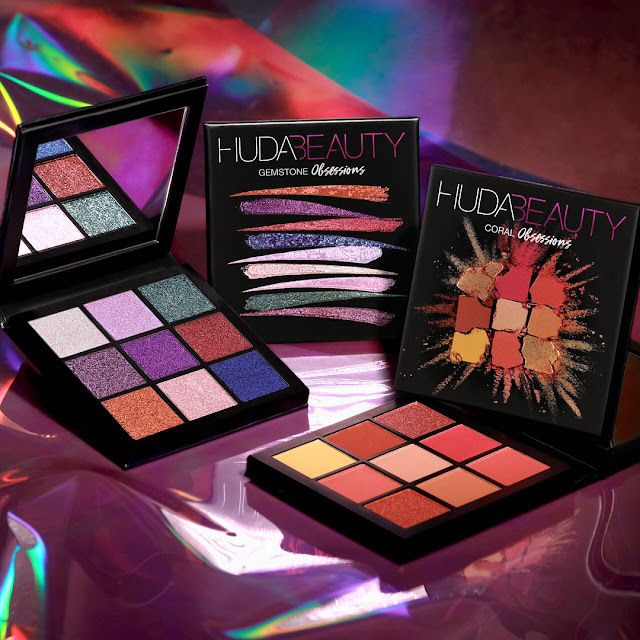 Huda Beauty has announced the launch of two new Obsession Palettes. 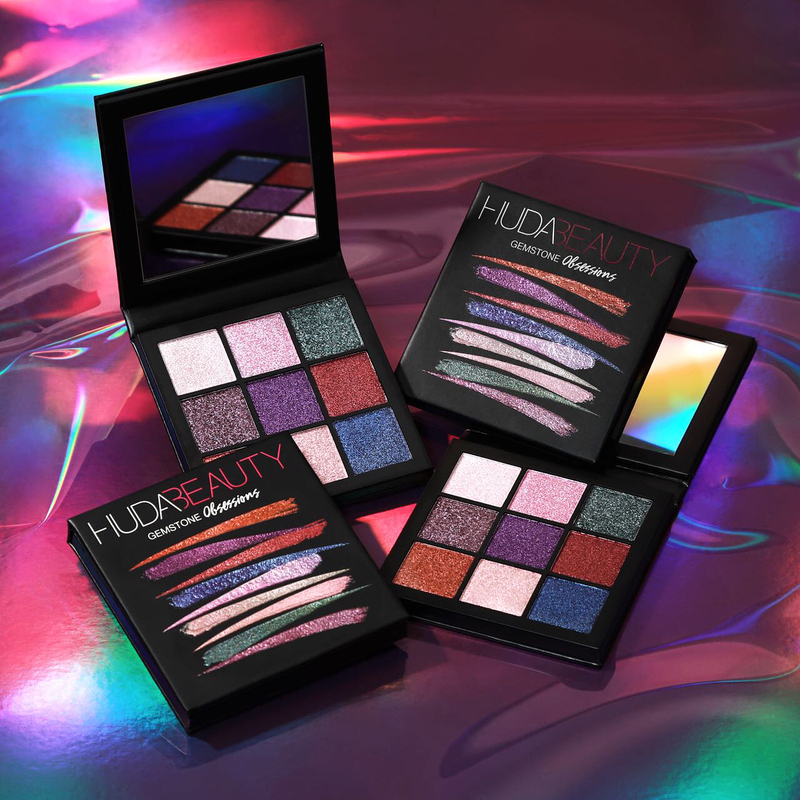 The mini palette of 9 eye shadows with a compact and ultra-slim design, follow on from the famous makeup artist and beauty blogger’s success of Huda Kattan's original Obsession eyeshadow palette collection. 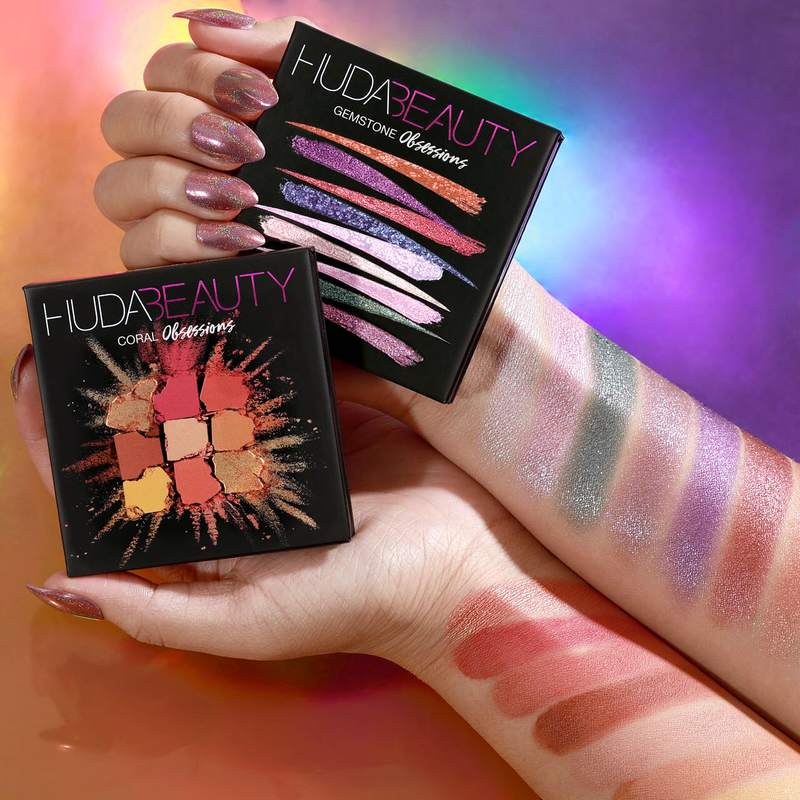 A shimmery eyeshadow palette with 9 creamy metallic and duochrome shadows. Each of the shades is inspired by precious gemstones, recall the characteristic brightness and brilliance of the gems. A mix of pink, red, blue and purple shades with intense high concentration of pigments are perfect for those who love an intense party look by adding a hint of sparkle to the eyelids. 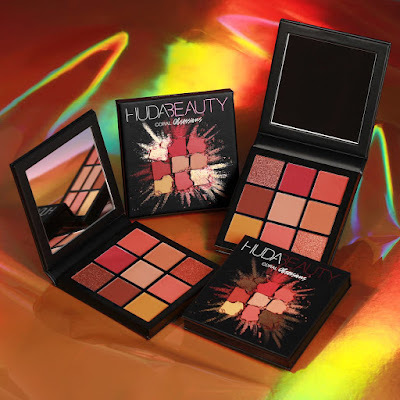 A spring-ready, easy-to-wear color harmony composed of 7 warm creamy mattes and two duo-chrome shimmers in soft pinks and oranges. 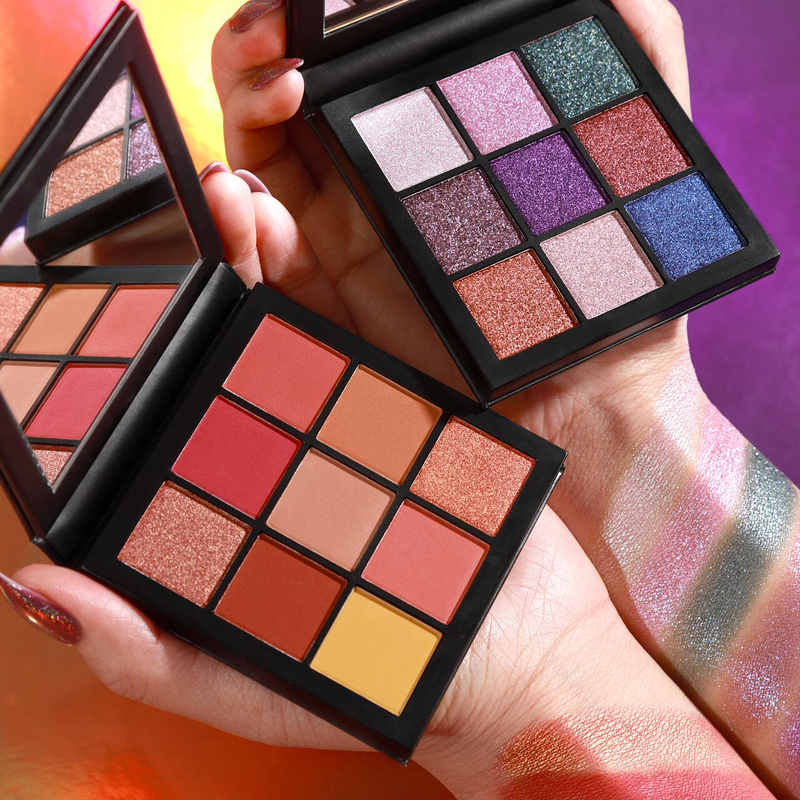 A totally warm and intense palette that fits perfectly with any eye color and formulated to be visible different on different skin-tones.